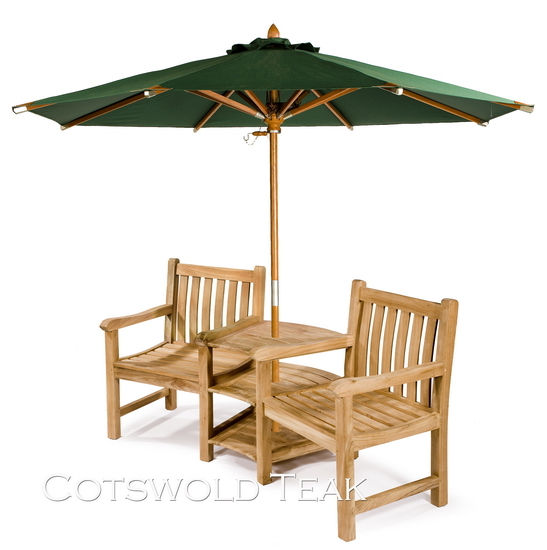 Always a very popular 2 seater companion bench set, ideal for the around the garden Shown here with a 2.5m parasol. It has 3 shelves joined in between, with a parasol hole. Perfect for the favourite secluded spot in the garden. Quite often chosen instead of a bench due to the useful table section in the centre. Our teak benches and companion sets are traditionally built with mortise & tenon joints, glued and pegged jointed. Our garden benches are built to last a long time. Purchased 2 Wasdale benches and a companion set. Very happy with product and service.Great value.Good people to deal with,keep their promises. 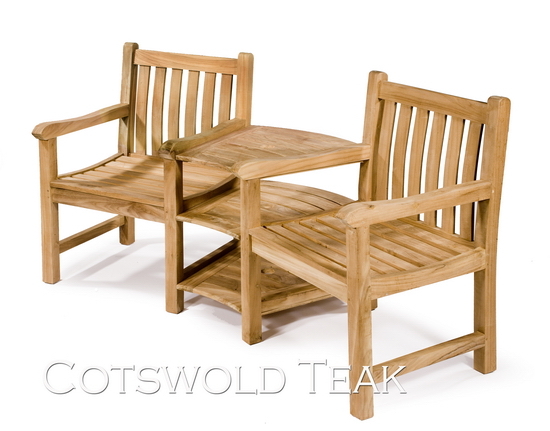 Click the button below to add the Ambleside 2 seater teak companion set to your wish list.